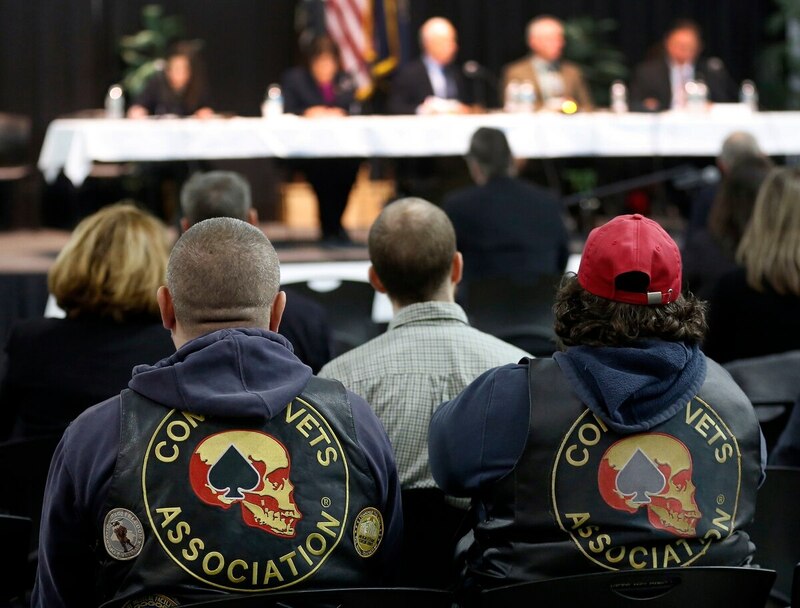 WASHINGTON — The House Veterans’ Affairs Committee will start its work this session with more than half of its members new to the panel, a significant turnover that veterans advocates have said leaves them with plenty of education work along with their lobbying goals. But committee leaders are downplaying concerns about the numerous new faces, noting that the number of veterans on the panel will increase this year, featuring even more younger veterans than in the past. “Those new veterans are eager to get started,” said Committee Chairman Mark Takano, D-Calif. “I’m not worried. They’re coming with a deep well of knowledge, the struggles they have had, and questions about things like the transition assistance program and getting care at the VA.
On the Democratic side, only five of the 16 members served on the committee last session. Takano and fellow California Democrat Julia Brownley joined the panel in 2013 and are the only ones among that group to have served on there for more than one Congress. The Republican side of the committee boasts slightly more veterans’ policy experience, but will still welcome five new members among its 12-person contingent. Ranking member Rep. Phil Roe, R-Tenn., and Florida Republican Gus Bilirakis have both served on the committee for the last 10 years. In all, 16 members of the 28-person panel will enter the first hearing without prior experience on the committee. That’s on par with past Congresses. Only once in the last five sessions did more than half of the committee carry over to the new Congress, and that year (2015) a third of the panel members were still new. For comparison, the House Armed Services Committee saw one of its most tumultuous session turnovers this year: 16 members of the 62-person panel are new, a little less than one-third of the group. Outside studies have shown that the House Veterans’ Affairs Committee is among the toughest for members in terms of outside fundraising, but problems with the Department of Veterans Affairs in recent years have also given its members a sizable national platform for their legislation and veterans policy priorities. Roe said the new members will have to quickly learn about the complexities of the VA bureaucracy, benefits offerings and health care system. Twelve members of the committee, including Roe, served in the military. Four served in the recent wars overseas: Rep. Greg Steube, R-Fla., served in Iraq, while Reps. Max Rose, D-N.Y., Jim Banks, R-Ind., and Steve Watkins, R-Kansas, all served in Afghanistan. Takano said he has not yet decided on the focus or timing of the committee’s first meeting of the new session, but promised increased oversight on a host of veterans policy issues including veterans health care options and benefits delivery.